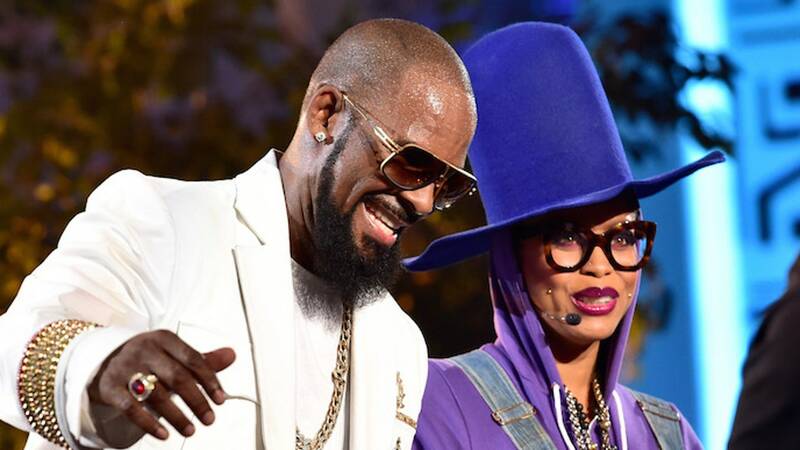 Erykah Badu took a moment during her concert last night at the Aragon Ballroom in Chicago to say she’s “puttin’ up a prayer right now” for R. Kelly, TMZ points out. “I hope he sees the light of day if he’s done all those things that we’ve seen on TV and heard those ladies talk about,” she said in the below video. “I hope he sees the light of day and comes forward.” She received a mixed reaction from the audience; both cheers and boos can be heard from the crowd. The night the Lifetime docuseries “Surviving R. Kelly” premiered, it was revealed that Badu was among the several musicians that reportedly turned down the opportunity to be in the production. JAY-Z, Dave Chappelle, Questlove, and others also declined interviews. “Surviving R. Kelly” featured interviews with women like Kelly’s ex-wife Andrea Kelly and Kitti Jones who have accused Kelly of abuse. Phoenix and Lady Gaga have apologized for working with Kelly in the past. Chance the Rapper, who gave an interview for the docuseries, said his collaboration with Kelly “was a mistake.” After the series aired, R. Kelly has denied all allegations of sexual misconduct involving women and underage girls. He is no longer signed to Sony Music and RCA. This article was originally posted on January 20 at 4:54 p.m. Eastern. It was last updated on January 20 at 8:56 p.m. Eastern.